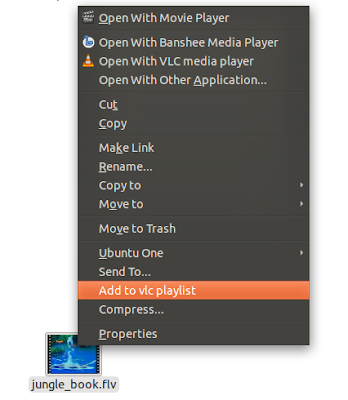 If you are using vlc media player on ubuntu, then most probably you will be missing the context menu for "Add to vlc playlist". Here is how you can customize context menu and add the feature. Switch vlc to "Allow one instance only"
The first thing you have to do is to make sure your vlc player allow only one instance. In order to set this change, goto Tools -> Preferences -> Interface -> Check "Allow only one instance" option. 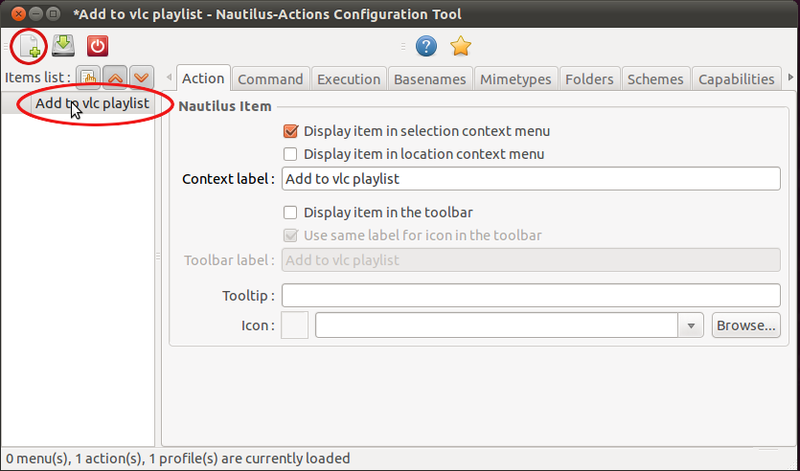 To Add context menu you need to run "nautilus-actions-config-tool" in terminal. Click on new icon and add caption for the menu. Now you need to Switch to Command tab and fill the following. 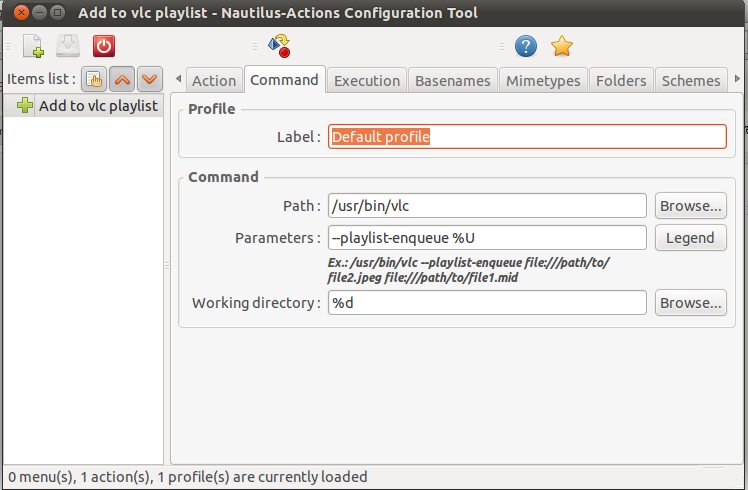 path : /path/to/vlc (for me it was /usr/bin/vlc). 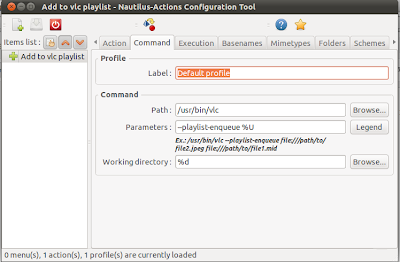 if you are not sure find with which vlc command. 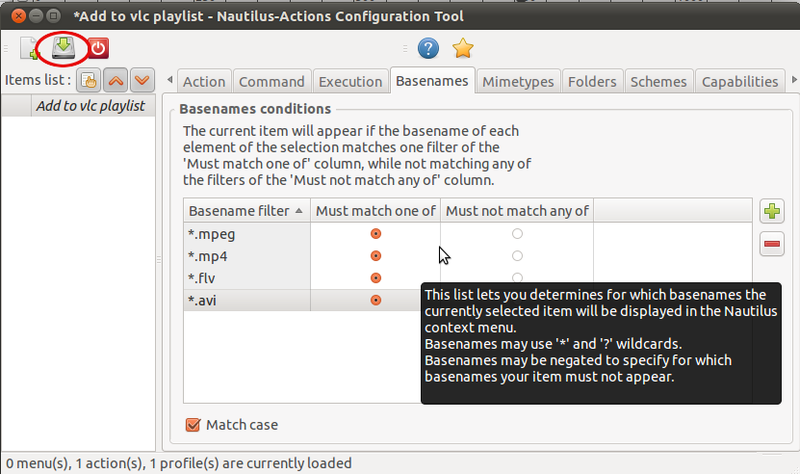 Now switch to basename tab and add the need file types. Save the menu using save Icon (marked in red ellipse). Now check the the menu by right click on any file with configured extension in basename tab.Restart nautilus each time when you made any changes on the context menu.You can also select multiple files and give add to vlc playlist. If you like the post please drop your suggestions and doubts as comments.